Skaneateles Lake is the fifth largest Finger Lake and the highest at about 863 feet above sea level. 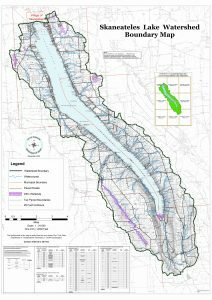 Its watershed is only 59 square miles, and the lake itself has a surface of area of 13.6 square miles, resulting in a ratio of 4.3 acres of watershed to each acre of lake. 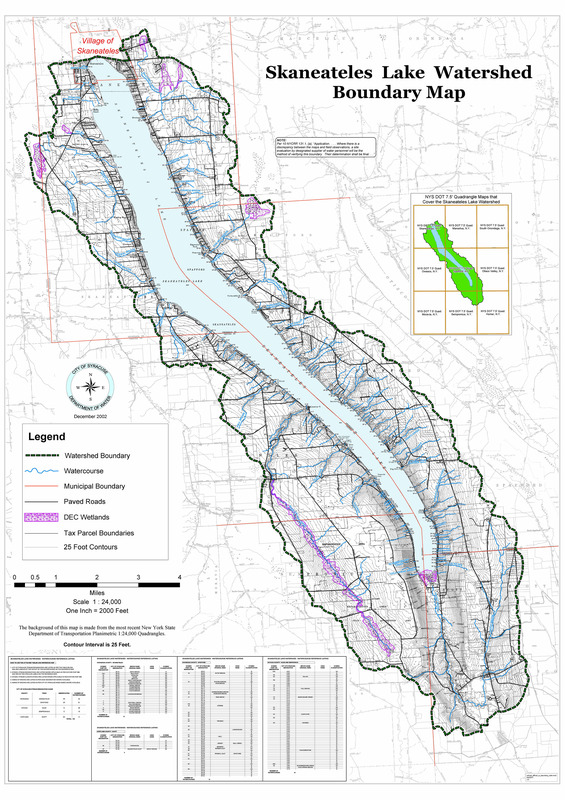 The favorable relationship between the relatively small watershed and the large volume of water in Skaneateles Lake provides a natural protection for Skaneateles Lake that few other lakes enjoy. 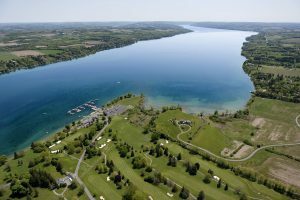 Skaneateles Lake is classified as “oligotrophic,” or a lake with low productivity due to low levels of nutrients. This keeps aquatic vegetation to a minimum. It also helps keep the water clear and transparent. Water from Skaneateles Lake flows unfiltered to more than 220,000 households as the primary source of water for residents in and around the city of Syracuse. Cities/Villages adjacent to the Lake: Village of Skaneateles in Onondaga County. Counties: Cayuga, Onondaga and Cortland Counties. Cities/Villages within the watershed: Village of Skaneateles in Onondaga County. Due to algal blooms in 2017, the Skaneateles Lake Association is working on developing an action plan and watershed plan. For current information, visit their website.